Pretty clean patterns overall. I think the set could still benefit from some minor polishing, like fixing blankets, avoiding unnecessary / unclean overlaps, etc... feel free to ask for another mod or two, or go over the set yourself and self-mod. You can call me back when you feel the set is ready, but I won't be happy if I see blanket issues still, cuz they're not something I should be pointing out . right, thanks a lot! Right off the bat i can't help but feel that there is some pretty drastic spacing in the beginning that is more unwarranted than not. Ex: 00:02:346 (2,3) 00:07:499 (2,3) 00:11:847 (5,6,7,1) Just to name a few. The reason i find this more of a problem is because the intensity of the song is a lot more mellow and calm in this section, and these points with high spacing go against that quite a bit. The majority of the beginning section has fairly consistent and rational spacing, so i think it may be a good idea to accommodate the spacing between some of these parts with the song. 00:29:885 (5,6,1) - The spacing between these objects is kinda short compared to the patters similar. I recommend adjusting the spacing just a bit to keep consistent. 00:34:716 (3,4) - Personally, i feel that a slider is more appropriate to use here instead of two stacked circles. I think a slider would accommodate the vocals better. 00:52:648 (2) - The beginning of this section right here has very prominent vocals but the rhythms you mapped to seem to brush it off quite a bit. I feel that the vocals deserved to be mapped more than the other rhythms present at this part ending at around here 00:54:902 (1). 01:03:599 (1,2,3) - Not a big deal, but this looks a bit cluttered and could possibly create some sort of unintentional reading difficulty. 01:15:517 (2,3,4) - Similar to the last point I tried to make. This time it kinda seems that too many things are trying to be blanketed and it ends up creating the same thing I mentioned before. 00:32:140 (1,1) - The fact that the slider end slightly overlaps with the next slider's body bothers me for some reason. It's pretty petty but I just felt like pointing it out, haha. 00:39:065 (3,4) - The circle into this slider is kinda awkward because it does not necessarily flow into its body. It looks kinda of strange on top of that. 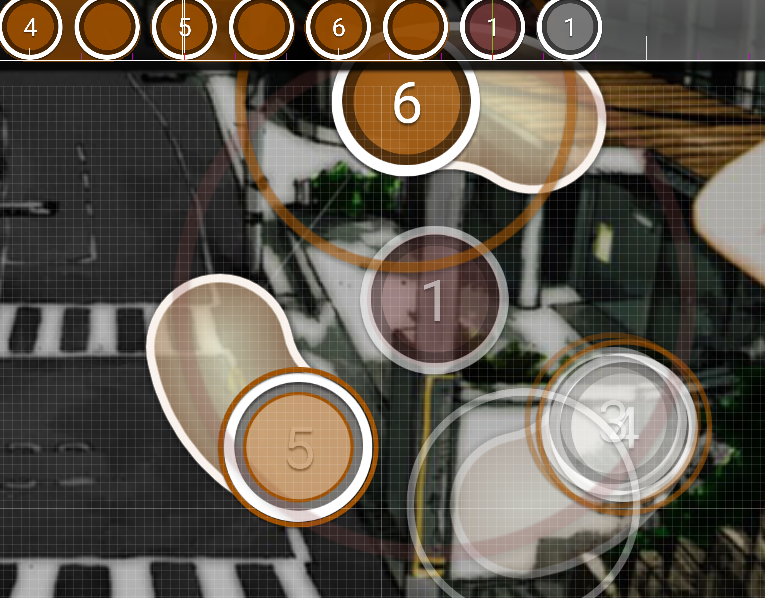 I know the slider is also parallel to 00:40:192 (1), but for the sake of aesthetics and keeping a flow consistent to the rest of the map, I think it may be nice to consider editing these sliders a bit.